The information below is intended to give you an overview of open meets, you may also find our Parent's Guide to Galas answers your questions particularly if you are new to competitions. There are four tiers of structured competition. Open Meets are licensed according to the purpose of their competition as Level 1, 2, 3 or 4. 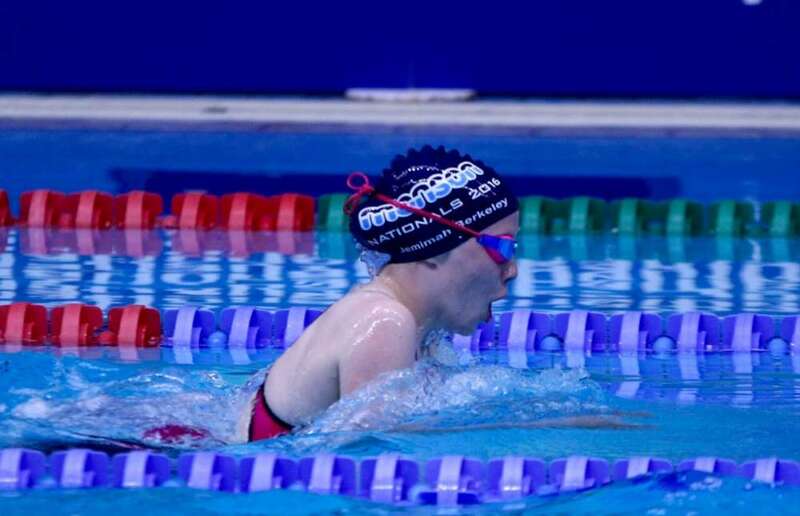 Level 1 is aimed at National qualifiers, or Regional level swimmers close to National qualification, looking for opportunities to achieve National qualifying times. These meets will have qualifying times for entry, which will be just below the national times. Level 2 is aimed at Regional / National qualifiers and will have qualifying times and upper limit times. Access to the ASA ranking information is used to enable meet organisers to verify that entry times submitted by swimmers fall within the stated range. Swimmers seeking Regional and National qualifying times should target level 2 and level 1 events for qualifying purposes. Level 3 & Level 4 meets are for Club swimmers who looking for County qualifying times and level 3 meets will have qualifying and upper limit times set at an appropriate level. These meets would provide a programme throughout the year alongside key level 2 meets to support the requirements of swimmers up to County and Regional level . National qualifying times cannot be gained at level 3 meets; National and Regional qualifying times cannot be gained at level 4 meets. These are times set by meet organisers for each event in the programme in order to control the number of entries in a meet. A qualifying time is the time that a swimmer must have already achieved in order to enter that level of competition. Some meets will also have an upper limit time for each event, which means that swimmers who have previously achieved times faster than the upper limit time are not eligible for an event. Qualifying times are set for National, Regional and County competitions and these also provide a standard which coaches can use to indicate the level of their swimmers. The requirement of having achieved a qualifying time in order to enter for an event relies significantly on the integrity of coaches, swimmers and parents to submit correct, truthful information. This is a clear expectation within the ASA Code of Conduct. It is most important to keep a list of your personal best times . You will need to use these when filling in an open meet entry form. You will be guided by your coach or as to which level of meet you should be aiming for and if you have any queries please do ask. Competitive swimming requires dedication from the swimmer, their coaches and their parents. It requires hours in the pool which does not come cheaply, it also includes unsociable hours training including very early morning sessions and weekend swimming, dedicated parents are essential to help swimmers achieve their goals. Travelling to training and to open meets all over the country to gain qualifying times becomes a routine for our best swimmers. It may be over in seconds in an event, but it may take years of training and preparation to get there. The rewards are great, for those who have achieved a personal best time, a medal, a County, Regional or National qualifying time, the pride which is felt after a good swim, for swimmer, coach and parents makes it all worthwhile. To be the best, is to compete with the best . You cant win it if you aren’t in it! If you wish to be a competitive swimmer, you must want to train regularly and have the dedication to train to win. Competitive swimming requires a commitment from the swimmer, coach and parents. Support and commitment from parents is key. Initial goals are County level qualifiying times, then you will hopefully wish to pursue a Regional Qualifying time and to swim at Regional Championships level. The highest level for club swimmers is to gain a National Qualifying time, this demands the utmost of training , dedication and hard work. For only a very few it could lead to International Team selection. 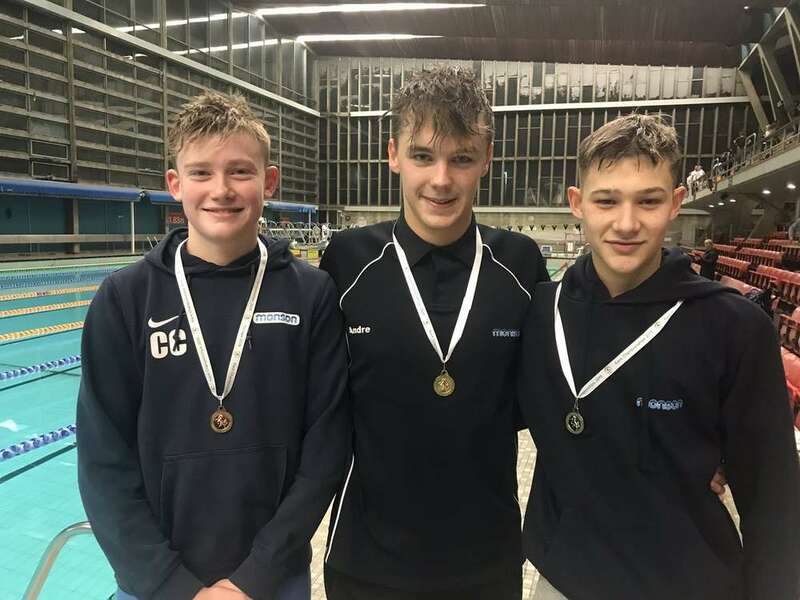 However, there is still a lot of fun to be had in lower levels of competitive swimming and gaining a medal or getting a personal best time is the best feeling in the world. You get out of swimming what you put in and the best swimmers parents are nearly always there to watch their offspring train and achieve their goals. Natural ability can only take you so far, training hard and teamwork with your coach and parents will get you to where you want to be. But you have to do the work in the pool and out of it … Training becomes a way of life. Those who train hard will be successful, but many just enjoy their swimming and the social side of training with their team mates , but to succeed you have to put in the hours. Your fellow swimmers help you train harder. If asked to swim for your club, do so with pride and commitment. Swimming as part of a team is as rewarding if not more rewarding than swimming in an open meet for yourself. To be offered a team place is an honour, we are a club and every swim counts. It may not seem important or necessary to parents to have to travel miles to a team gala for maybe only one swim in one event , but just to swim 50m in a relay team for example is very important to your club, it is a team effort and if one person isn’t available to swim, it can affect the whole team. If you want to be a competitive swimmer, work hard, swim for your team with pride and swim to improve yourself at every training session!